I hope you all had a fabulous weekend! Mine was pretty low-key. I spent some QT shopping with my mom, my favorite pastime. We headed to Westport, which I believe has one of the best downtowns in Connecticut. It was a full day, so be prepared to scroll down. First stop, Vineyard Vines! I have been eying this dress and was excited to see it in person. Sadly I was between sizes, neither quite fit right. I will be anxiously awaiting the summer dress arrivals. Westport is also home to other top shops. We popped in Lilly Pulitzer Signature Store Splash of Pink to see the new white dresses. The lace Reeve Dress was by far my #1 pick. No doubt this will be a popular graduation dress. 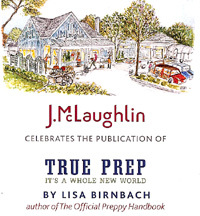 While at J.McLaughlin, not only did I see many things I desire but also learned that author Lisa Birnbach will be at the store for an upcoming True Prep book signing. I went to a signing in New Canaan back in December, featured on my first everrrrr post. If you are in the area and haven't heard her speak you must go.... she is hilarious and truly brings the book to life with her anecdotes. I snapped this photo of the store interior (is that allowed?) - wouldn't you love to sit here and have a drink?! 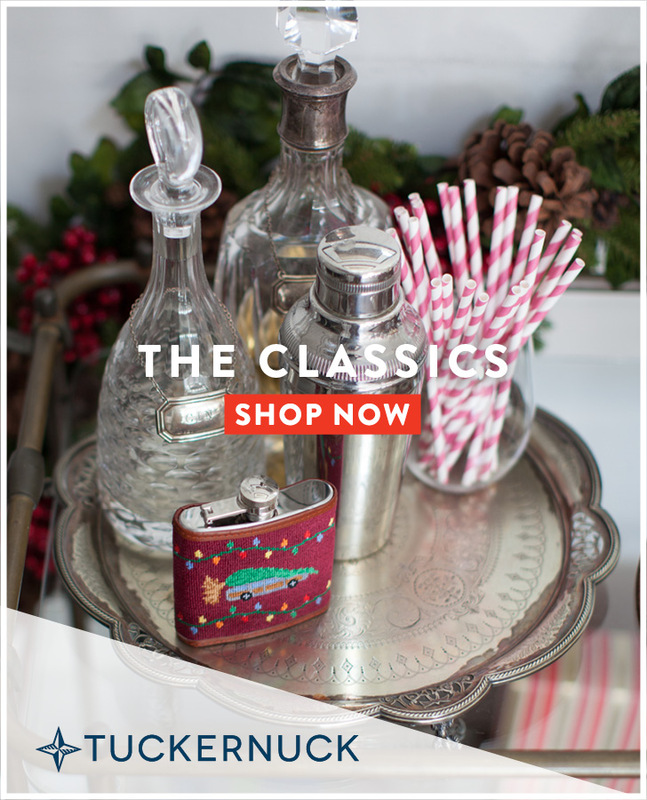 Too bad I don't really need this from Anthropologie. Whatever I put it in would probably die. However, I did find a sundress I will debut at a later date. My purchases included these pieces from Forever 21. Yes, the store that is taking over malls across America. Unfortunately with their expansion and multi-level stores I don't find as many things as I used to, or maybe anything decent is harder to find among the mass? Floral printed jeans? No thanks. I also notice I am shopping alongside middle schoolers... so perhaps I am just growing up. Thoughts? I envision wearing these skirts with a tank and wedges "down the shore" (Jersey!) this summer when I visit friends. I will likely be switching up the belt on the pink skirt to something besides black or removing the loops completely. Phew, and those were just the highlights! In our mall, Forever 21 has been renamed XXI Forever. Hmmm...? 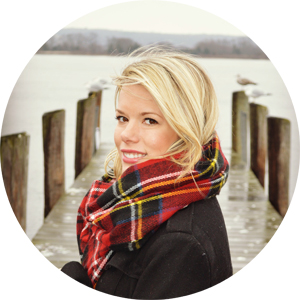 PS - what shore town do you visit? We have a place down there (in south, south Jersey). I've been wanting that VV dress too, but didn't want to order it. That F21 dress is adorable! I'll have to see if they have it at ours! Our weekends were so similar! Except mine was in Georgetown! I love the Vineyard Vines dress you posted! However, I similarly opted for a Forever 21 Nautical dress, which I actually wore in Georgetown this weekend! True Prep is such a great book! So jealous you have got to hear her talk! Sounds like you two had a wonderful weekend! love your picks & that navy dress is so cute!! 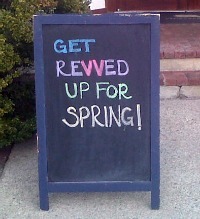 I'm from right near Westport, and I have to agree-great shopping! You found some great things this weekend, too! I definitely cannot wait for spring. The fashion is gorgeous. I was not invited to go shopping! 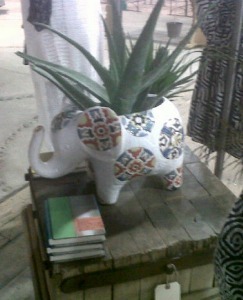 :( You got some really cute pieces!! Love the Lilly P white dress! I NEED a graduation dress, that would be purrrfect! You are too funny! Come snap away... And next time introduce yourself to me! 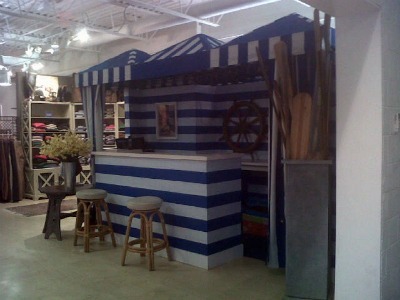 And the cabana, yes, that serves (pun intended!) as our bar for our events! omg, I love that navy and white dress!! I haven't seen that yet in the store! and I agree that my outlook on F21 has changed a lot since I was in college. I would drop like $200 every time I went in there and now I can only find a few things that fit... I swear their stuff has gotten tinier..